The best short fiction, handpicked by the world’s greatest storyteller. In every episode, host LeVar Burton (Reading Rainbow, Roots, Star Trek) invites you to take a break from your daily life, and dive into a great story. LeVar’s narration blends with gorgeous soundscapes to bring stories by Neil Gaiman, Haruki Murakami, Octavia Butler, Ray Bradbury and more to life. So, if you’re ready, let’s take a deep breath...Listen to ad-free episodes one week early, plus exclusive bonus episodes, only ... See More on Stitcher Premium. For a free month of listening, go to stitcherpremium.com/levar and use promo code 'LEVAR'. 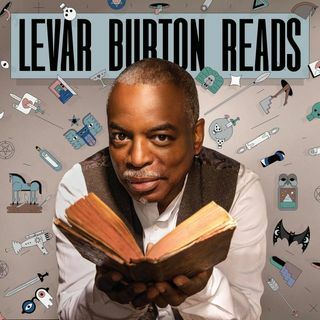 Explicit LeVar Burton Reads Returns April 2nd!